A princess becomes a warrior, indulges in forbidden romance, and rules an empire in an epic fantasy saga inspired by Aladdin and the 1001 Arabian Nights. 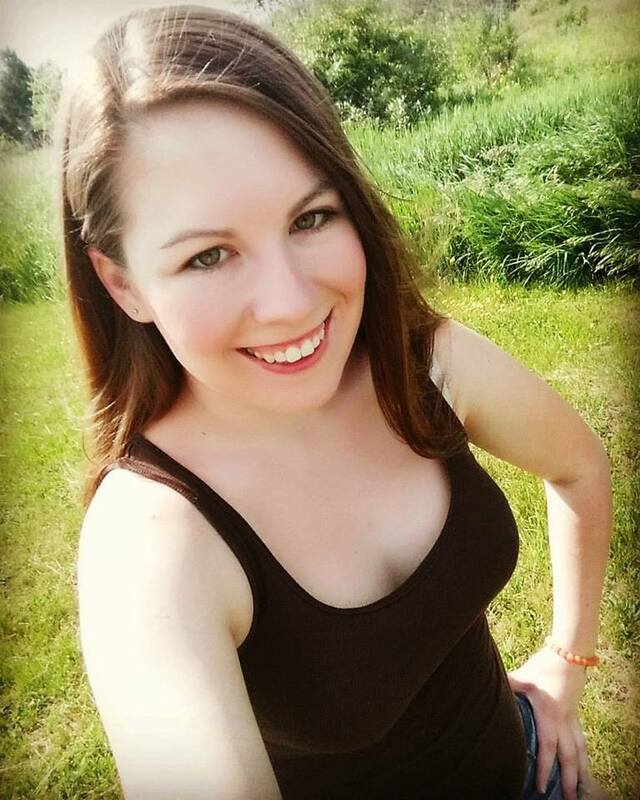 Princess Bennua is betrothed to a foreigner in a far-away land -- until a prince of thieves comes to claim her for himself. 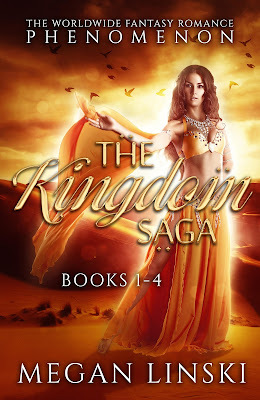 Kidnapped and brought to a desert of mystery and wonder, Bennua finds herself the master of a djinn trapped within a magic lamp... and in love with a man whoâs as secretive as he is dangerous. Her travels take her to lands of ancient pharaohs and dark crypts, to illustrious palaces and jungles filled with mythical beasts. 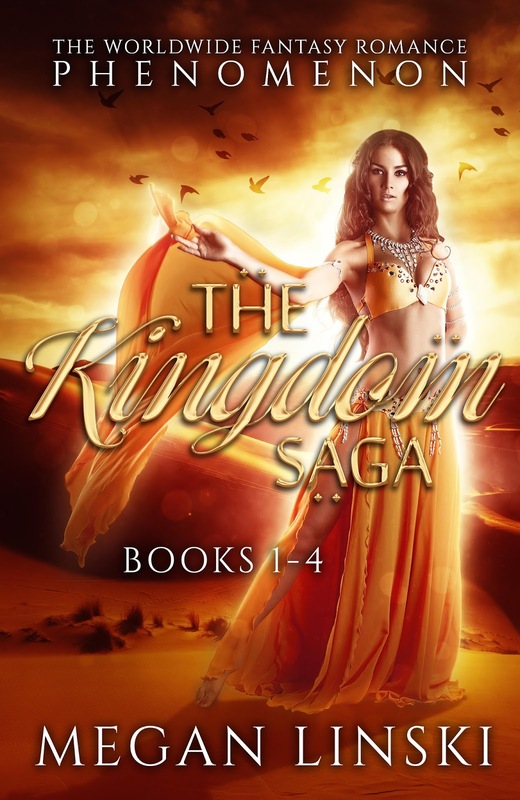 Bennua finds herself in service of an ancient deity, a fire god who is at war with the devil, and in the middle of a war where angels battle kings and monsters devour men. 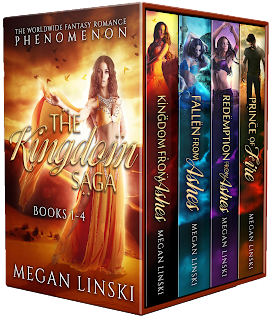 Swords clash, magic ignites, and sultans fall. One girl has the power to save the world, and she will bring the desert to its knees with her bravery... her strength... and her love. 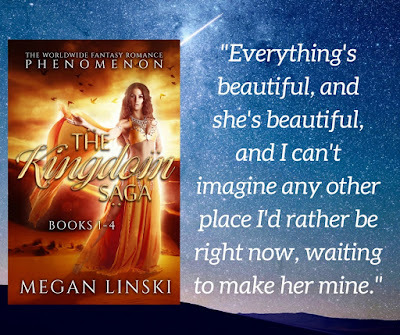 With thousands of copies in the hands of readers, The Kingdom Saga is an emotional story of true love, redemption, and faith featuring a strong heroine, a handsome prince and a lovable djinn. 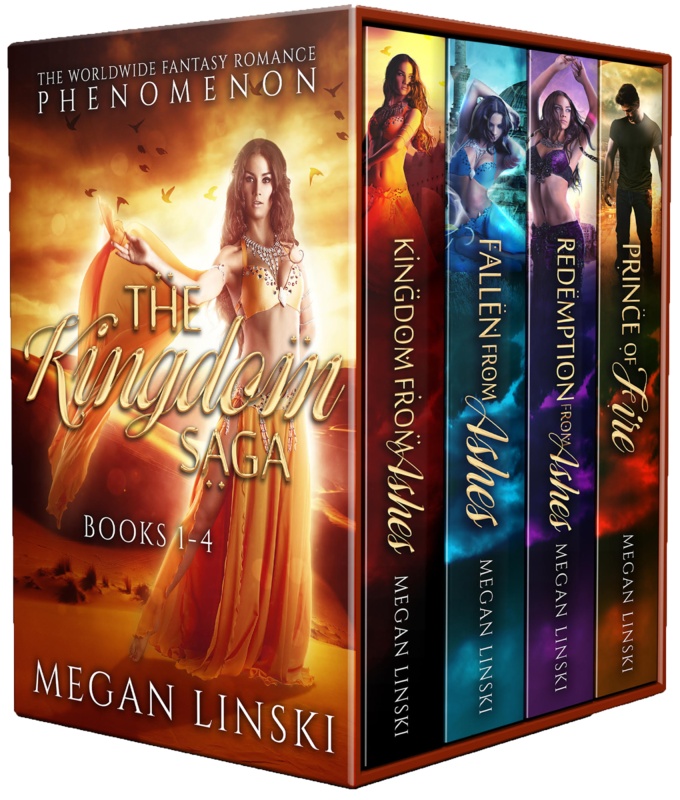 Includes all four books in The Kingdom Saga series! ON SALE FOR ONLY $0.99 THROUGH JUNE 30TH! Join The Release Party on the authorâs Facebook Page, starting June 28th!